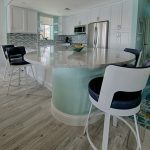 The design of a kitchen can make it an inviting space or one that you want to avoid altogether depending on its overall look. If the design has been done as expected you will likely enjoy the space when cooking or entertaining guests. Still, a great design does not eliminate the fact that the kitchen should be functional, especially when it comes to storage. 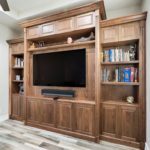 At Schrapper’s Fine Cabinetry and Design we believe that kitchen cabinets as well as other storage spaces should be designed with the storage needs of a homeowner in mind. 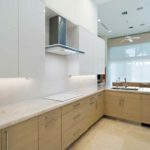 Since cabinet storage is a critical need in the kitchen, it is important to have a few considerations in mind when designing the interior of storage spaces during kitchen remodeling. Being able to take out or return items into your cabinets with ease is an important aspect of kitchen design that cannot be ignored. Experienced designers should be able to place kitchen cabinets in areas that are convenient for anyone using the kitchen. However, in looking for convenience the overall design should remain uncompromised. 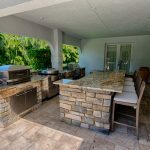 If the decision to remodel your kitchen is because you are in need of more storage space, it is important to communicate this to your designer. It will allow them to look for ways to make space in the interior of the cabinets so that your appliances and other products fit in well. At Schrapper, we will do our best to make more storage spaces available by using modern design elements in your kitchen. Accessibility is crucial when working on an internal design for kitchen cabinets as they are spaces that are used on a daily basis. Ensure that the storage space can be easily accessed from different parts of the kitchen thus reducing time wastage when preparing food or entertaining. Contact Schrapper’s Fine Cabinetry and Design today to talk to our experts about kitchen cabinet storage interiors. We have all the information you need on kitchen storage options at the tips of our fingers.